Clashes took place, on Thursday evening, near the western entrance of Kufur ed-Deek village, in the central West Bank city of Salfit, after Israeli soldiers and extremist settlers tried to invade it; while the soldiers also kidnapped two Palestinians. Media sources in Salfit said a large number of Israeli fanatics from two illegal nearby colonies gathered near the village, and attempted to invade it. Dozens of residents noticed the settlers gathered in the area in an attempt to prevent the extremists from invading their village, leading to clashes with Israeli soldiers who arrived at the scene. The villagers are subject to frequent assaults by fanatic Israeli groups, and Israeli soldiers, including ongoing attacks against their orchards and farmlands, especially amidst attempts to expand illegal nearby colonies, built on Palestinian lands. 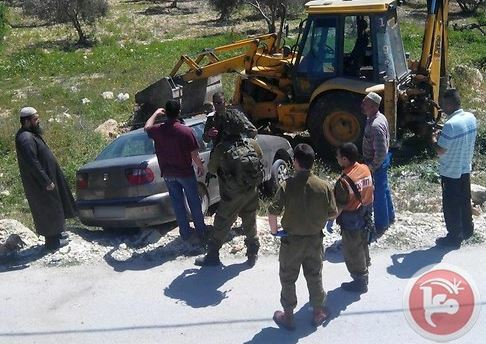 A Palestinian driver crashed his own car, Thursday, after an Israeli soldier stopped him, searched his car, and forced him to drive him to the Yitzhak illegal colony, near the northern West Bank city of Nablus. The Palestinian contacted the army and told him of what happened. The Maan News Agency has reported that an Israeli soldier of the Golani Brigade waved to a Palestinian driver, 19 years of age, ordering him to stop, and searched his car before ordering him to drive him to the Yitzhar illegal colony, built on Palestinian lands near Nablus. Maan said that the Palestinian was leaving his chicken farm, near settlement road #60, when the soldier stopped him; he thought the soldier wanted to inspect the car and his ID, but feared the worse when the soldier actually ordered him to take him to Yitzhar. The young man feared that the soldier is trying to kidnap him, especially since he ordered him to drive him to Yitzhar, swerved the car while driving and crashed it into a ditch at the side of the road, and ran away. Israeli sources said the soldier left the car unharmed and stopped an Israeli bus transporting soldiers to a nearby military base, while the Palestinian driver also rushed and contacted the army. The soldiers then managed to track the Israeli bus, stopped it, and had the young Palestinian driver identify the soldier who stopped him. Israeli army spokesperson said the military opened an investigation into the incident, and intends to move the case to the Military Prosecutor’s Office. Israeli forces, Wednesday, raided a school to the west of Ramallah, where they detained students and the teaching staff inside the school and prevented them from leaving for almost two hours, according to the school principle. The principle, Samir Badir, told WAFA Palestinian News & Info Agency that Israeli soldiers raided the school in a vicious manner, under the pretext of throwing rocks at the soldiers, and imposed a tight siege on the school; preventing anyone from entering or leaving the school for about two hours. The principle added that this is the second time such incident happens, however under a different pretext. He said that Israeli soldiers threatened to shut down the school, which is located near an illegal Israeli settlement, an Israeli military camp and a road used by settlers, stressing that Israeli forces await the chance to take over the school for the benefit of settlement expansion. 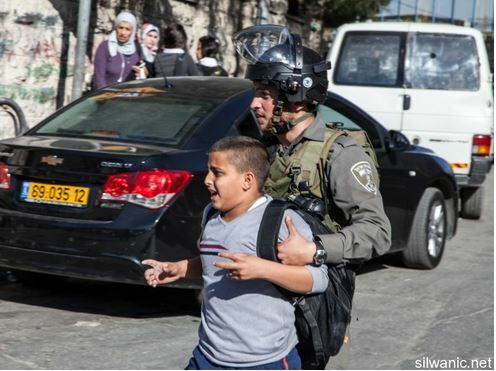 The army previously carried out numerous attacks, with the deliberate and reckless use of force against schools and educational facilities across the West Bank, in a serious violation of international law and students’ right to pursue education in a safe environment. 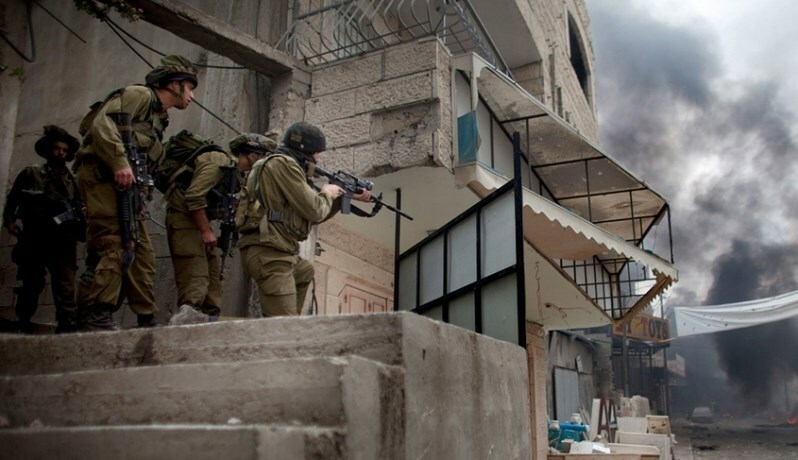 Israeli Occupation Forces (IOF) carried out incursions into different areas in Sorif town in al-Khalil and broke into Palestinian houses on Wednesday. Local sources told the PIC reporter that large numbers of IOF soldiers escorted by Israeli police vehicles stormed the town, searched and wreaked havoc in the town’s houses. 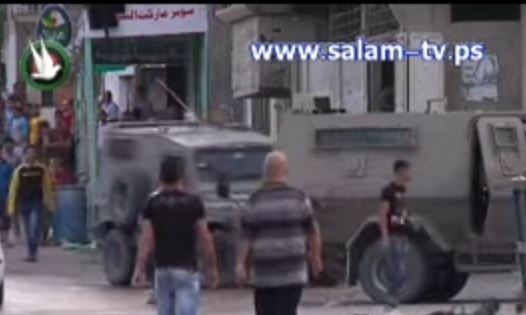 The sources mentioned that the Israeli forces brought in big trucks along with reinforcements. The soldiers were deployed in various areas of the town then retreated in the early morning hours with no arrests reported. 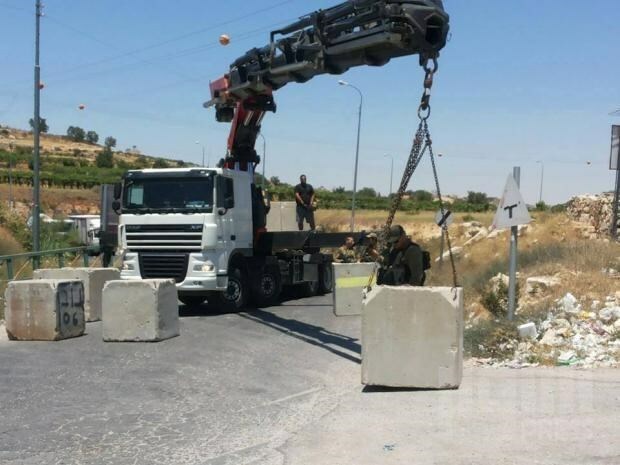 On the other hand, local sources disclosed that the IOF removed an iron gate and concrete cubes from the northern entrance of al-Khalil city. The sources said the IOF opened al-Khalil’s northern entrance which had been closed for 15 years during the second intifada. The Israeli occupation authorities claim that the opening of the gate comes within a series of security facilities aiming at decreasing the restrictions imposed on Palestinians in the occupied West Bank in terms of the right of movement. Palestinians, however, perceive the Israeli move as a minor unimportant measure, according to sources. Israeli occupation forces (IOF) stationed at two military positions to the east of central Gaza Strip opened heavy machinegun fire at Palestinian land on Tuesday night. 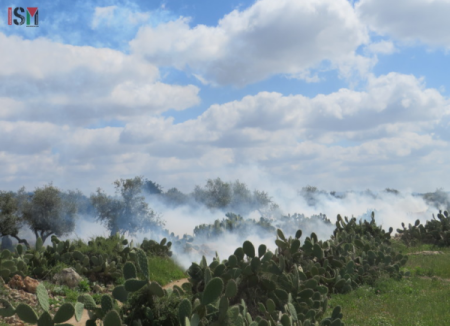 Eyewitnesses told the PIC reporter that the IOF soldiers in Malaka and Camera military sites opened indiscriminate and intensive fire at Palestinian land to the east of Juhr al-Deek village and Breij refugee camp in central Gaza Strip. IOF daily opens fire at various Gaza border areas and on certain occasions enter into the enclave and bulldoze land. Israeli soldiers invaded, on Tuesday before noon, the town of Bal’a, east of the northern West Bank city of Tulkarem, leading to clashes with local youths. Eyewitnesses said a number of Israeli military jeeps invaded the town from different directions, and clashed with local youths who hurled stones, and empty bottles, on them. The soldiers fired several gas bombs, and concussion grenades. Medical sources said many residents, including children, suffered the effects of tear gas inhalation, and received treatment by local medics. The soldiers also closed several roads, in and near the village, during the invasion, and withdrew later. Israeli soldiers kidnapped, on Monday evening, six Palestinians in occupied East Jerusalem, including two workers from Bethlehem, while many residents have been injured. Local sources said the soldiers invaded the al-Jadira town, northwest of Jerusalem, and clashed with local youths before kidnapping four Palestinians. The four have been identified as Fathi Rebhi Barjas, 18, Mohammad Ashraf Barjas, 17, Mahmoud Nayef ‘Azzam, 20, and ‘Odah Mustafa ‘Azzam, 20. The army also attacked and beat several Palestinians, who tried to prevent the soldiers from kidnapping the four Palestinians, causing a number of residents to suffer cuts and bruises. All wounded residents have been moved to a hospital in the city for treatment. In addition, soldiers kidnapped two Palestinian workers from the al-Khader town south of the West Bank city of Bethlehem, after the army stormed a construction site in Jerusalem. The two have been identified as Mohammad ‘Adel ‘Issa, 22, and Mohammad Ibrahim Mousa, 22; the army said the two did not carry permits to enter and work in the city. Earlier on Monday, soldiers kidnapped two Palestinian children in the al-‘Eesawiyya town, south of the Al-Aqsa Mosque in occupied East Jerusalem, and took them to an interrogation facility. On Monday at dawn, the army invaded several communities in the West Bank, stormed and searched several homes, and kidnapped five Palestinians. On an almost daily basis, Israeli forces in Al Khalil harass and arrest local and international human rights activists as they try to do their tasks. The activists document violence towards Palestinians and act as a protective presence around children who are on their way to school. The volunteers’ feel that accompanying children on their way to school, through various checkpoints, is important because of the risk they face. In the past, the children of Al Khalil have routinely detained, searched, arrested or attacked with tear gas, stun grenades and rubber coated steel bullets, shot at them by Israeli soldiers and border police. Throughout Palestine in general, and in particular Al Khalil, volunteers play an important role documenting day to day life under occupation. With illegal settlements in the heart of the city and daily violence from settlers under the protection of the Israeli forces, the only word to describe life here is ‘apartheid’. Israeli forces have detained and arrested volunteers many times without reason, declaring only that they wish to prevent them from documenting these human rights abuses. The internationals’ accessibility to city areas are also being restricted by soldiers prohibiting them to pass through checkpoints. “We are not wearing vests like Christian Peacemakers Team (CPT), for example, which makes it easier for us to pass through the checkpoints. But they don’t like us either. Only a few days days ago one of us was arrested and held for seven hours for bogus reasons, and now he’s not allowed in the city for two weeks” ISM volunteer Franceska explains. Israeli occupation forces, Monday morning, opened fire towards Palestinian farmers and agricultural lands east of the central Gaza Strip. 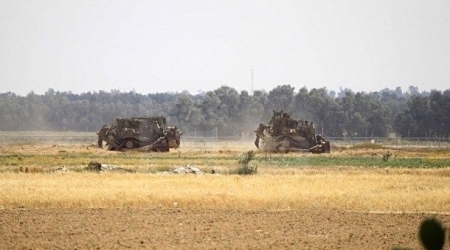 Witnesses told Safa news agency that Israeli soldiers and military vehicles that were stationed along the border and in military towers east of the central of Gaza strip, fired tear gas and live ammunition towards the farmers. They pointed out, according to Al Ray, that the farmers tried to reach their agricultural lands near the border and that Israel prevented them by opening fire, with no causalities reported. Israeli forces are firing on farmers and fishermen repeatedly and daily, in clear violation of the Egyptian brokered truce agreement signed between the Palestinian resistance and "Israel" under after the recent aggression on Gaza strip last summer. Israeli Occupation Forces (IOF) rounded up a Palestinian minor and searched several houses in Beit Ummar town in northern al-Khalil on Monday. 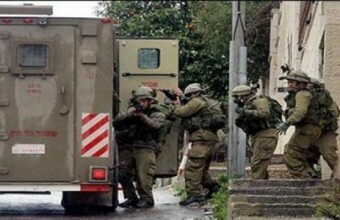 The Spokesman of the Popular Committee against Settlement in Beit Ummar Mohammad Awad said the IOF soldiers in eight military vehicles raided the town, searched and wreaked havoc in the houses, then arrested the 17-year-old minor Mousa Bahar. 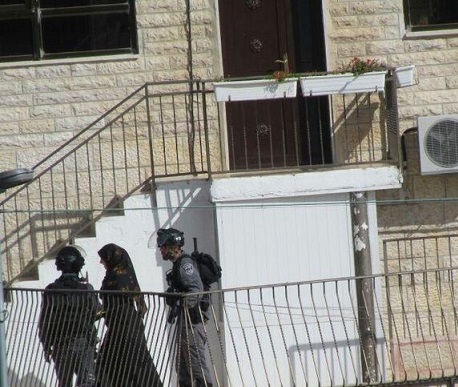 Awad pointed out that the IOF soldiers blew up the doors of the town’s houses and roamed the streets before they retreated taking the detainee Bahar to an unknown detention center. Israeli soldiers invaded, Sunday, a Palestinian home in Jabal al-Mokabber, south of occupied East Jerusalem, detained the family into one room while searching their property, and confiscated their phones. The family said several soldiers stormed their two-story building, after surrounding it. The soldiers then forced the family in one room, before violently searching the building, causing damage to the furniture and belongings. The soldiers also confiscated mobile phones, and prevented the family members from even talking to each other during the search. The family added that the soldiers also searched the rooftop, and the family car, parked in front of the building. Last month, soldiers stormed the building during early dawn hours, and violently searching it while interrogating the family. A number of Palestinian citizens suffered suffocation after inhaling tear gas fired by Israeli occupation forces (IOF) during violent clashes in Burin town to the south of Nablus. A Palestinian citizen was nabbed during the clashes. Eyewitnesses told a PIC reporter that IOF soldiers in more than 15 Israeli military vehicles suddenly stormed the town amid heavy fire of tear gas bombs. 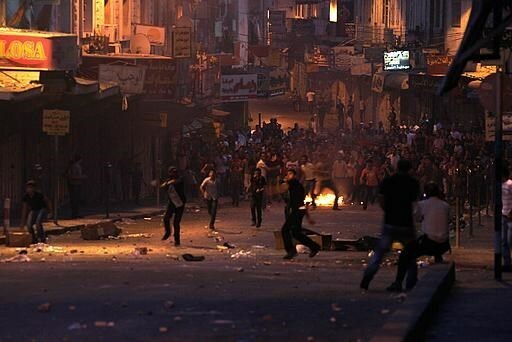 The clashes broke out between local youths and the invading forces, and several Palestinians suffered breathing problems. Ambulances immediately arrived to the scene to evacuate the casualties. A Palestinian young man was nabbed during the clashes after IOF soldiers violently stormed and searched his home in the town. He was taken to unknown detention center. 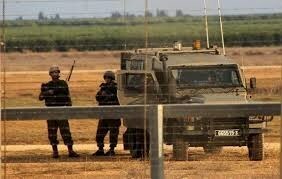 Israeli Occupation Forces (IOF) conducted surprise military drill along Gaza borders on Sunday. Yedioth Ahronoth newspaper said the exercises aim at examining the Israeli army’s readiness to handle any emergencies. The IOF recently conducted military exercises in the West Bank cities for the same purpose. 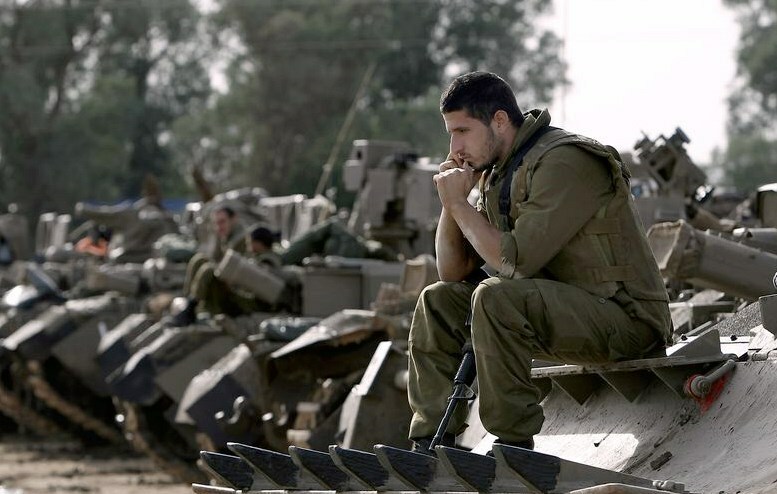 The Hebrew newspaper also said the exercises come within a plan to strengthen the ground forces’ weapons in the wake of the Israeli failure in last summer’s aggression on Gaza. It elaborated that the main assignment of the new Chief of the General Staff in Israeli Army Gadi Eizenkot is to strengthen and prioritize the ground forces in terms of budgets and military plans for better preparation for any coming “war”. 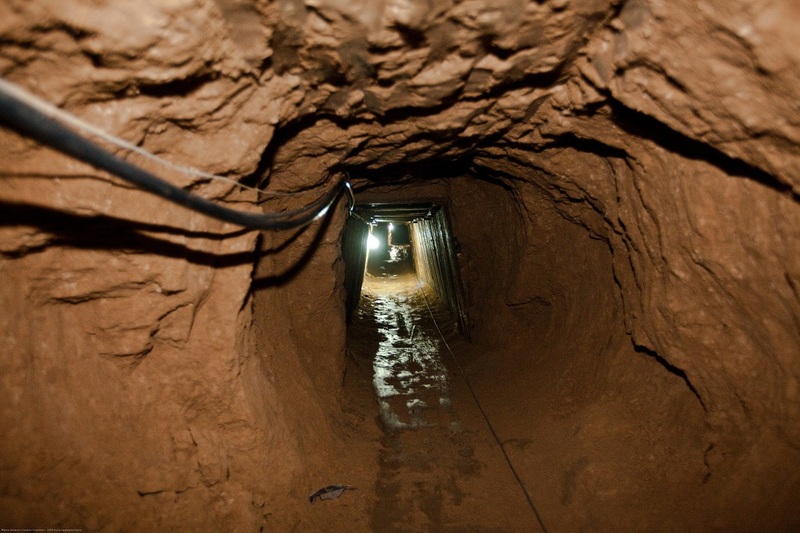 The newspaper disclosed that the military investigations conducted in the wake of the last summer’s Israeli aggression on Gaza showed gaps in the extent of the readiness of the Israeli ground forces against the Palestinian resistance, particularly Hamas fighters. According to observers, the Israeli authorities, by such moves, try to justify its failure in last summer’s aggression on the blockaded enclave. The movement added in a press statement on Saturday that since the beginning of the current year it has documented 30 cases in which Palestinian children were shot with live bullets fired by Israeli soldiers and settlers, and pointed out that 29 of them were shot while they were participating in peaceful marches in the West Bank and the last one was shot by settlers in Silwan town in Occupied Jerusalem. The movement attributed using this excessive force by the IOF to the Israeli soldiers' conviction and prior knowledge that they will get away with impunity in spite of all their heinous crimes, according to the statement. It also pointed out that according to the Israeli army special regulations live ammunition is not be used except in cases that constitute mortal threats to the Israeli soldiers, and pointed to the lack of evidences which prove that the child victims were posing such threats when targeted. The statement mentioned the case of the minor Mu'ath al-Ramahi, 15, who was shot in the chest with a live bullet during violent clashes with the IOF at the entrance of Jalazone camp on March 6 causing him severe wounds in his right lung and damages in his ribs and chest muscles. 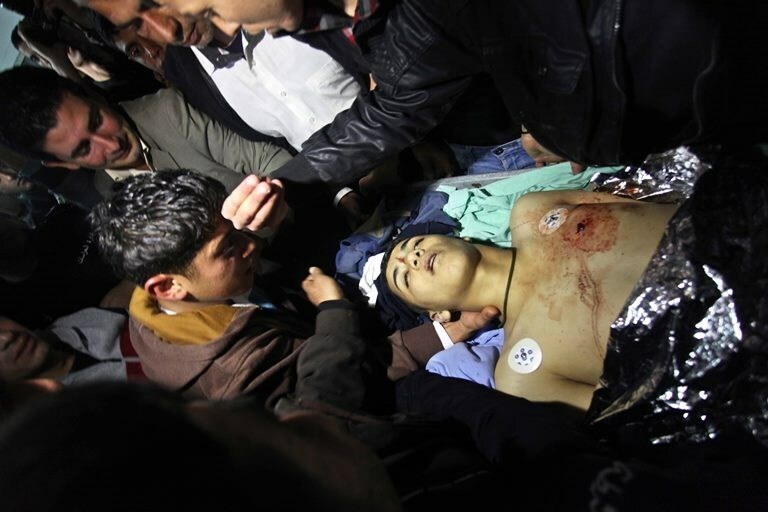 The same clashes led to the injury of the minor Muhammad Hmidat, 16, who was shot in the face. The statement cited Hmidat as saying: "I felt like if someone was hitting me from the back then I felt dizziness and a dull pain at that time then I noticed that my face was bleeding profusely". The statement also mentioned that the minor Malik Ghawanmeh, 16, was shot with a live bullet in his right leg leading to shattering the bones. The minor Muhammad Birnat, 16, was also hit with a live bullet while he was participating in the weekly peaceful march in Bil'in village near Ramallah. "The Israeli soldiers started to fire tear gas and stun grenades and live bullets at us," Birnat said, adding:" I was looking for a place to hide when I felt that something hit my right leg strongly." The clinical tests and the X-rays showed that the bullet settled in his right knee, according to the medical report of the child.